A lot goes into every one of OneCoffee pods. First, they find the right farmers who grow the best, most sustainable beans. Then OneCoffee's Q Grader, one of Canada’s only certified coffee experts, tests each batch and makes sure they’re roasted to perfection. Finally, they wrap it all up in a 100% compostable pod wearing nothing but a mesh filter—no plastic, no waste, nada. So kudos to you, coffee drinker. You’re helping do good with every sip. 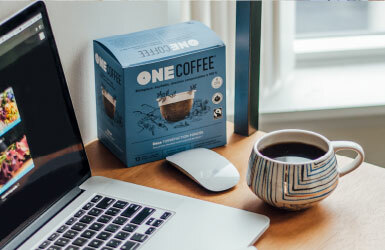 OneCoffee is roasted and packaged in Western Canada by local roaster Canterbury Coffee, who has been providing Canada with specialty coffee since 1981. 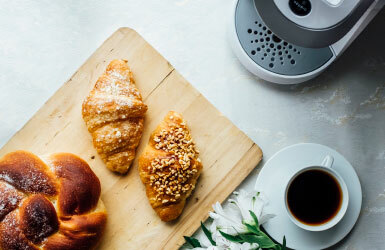 They watched single-serve coffee pile up in landfills and knew if coffee drinkers weren’t going to use a French Press or a regular coffee maker, they needed to make single-serve better – starting with the pod. After years of working with suppliers, they found the most sustainable and environmentally-friendly single-serve solution today. A pod made of Biodegradable Products Institute (BPI) certified compostable materials. And they take it another step further with packaging – even the foil-like bag is made from 100% compostable materials. Because OneCoffee makes their compostable K-Cup style pods out of 100% compostable materials, these coffee pods have been tested and approved by a third party lab in addition to BPI. The pod is made out of renewable resources that can decompose back into the soil and provide fertile soil to grow other plants and food. At this moment, OneCoffee is working with politicians and cities to ensure it can be accepted by city composts across Canada. And because OneCoffee is as committed to social responsibility as they are to environmentally sustainable coffee, all their coffee is certified organic and fair trade. Even their decaf is processed using the Swiss Water® Process - meaning no chemicals, just water to draw out the caffeine, ensuring it’s environmentally friendly while retaining deliciousness. 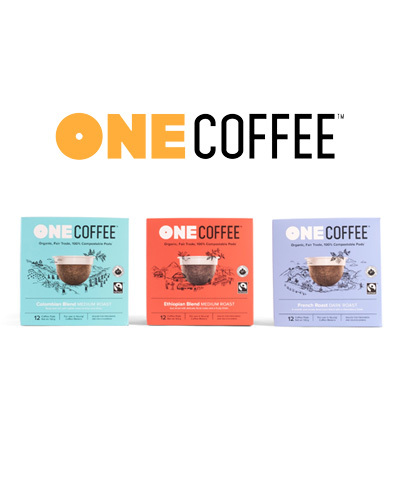 OneCoffee is committed to providing consistent, quality coffee in a convenient package, and their bean selection and roasting process is the key to that consistency. Starting with ethically-sourced, organic, 100% Arabica beans, every shipment is carefully tested for aroma, flavour and mouthfeel, then roasted and blended to bring out the best in each bean. 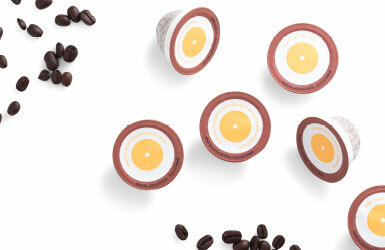 With such attention to detail, you know that every OneCoffee pod will give you a consistently-delicious cup of coffee. 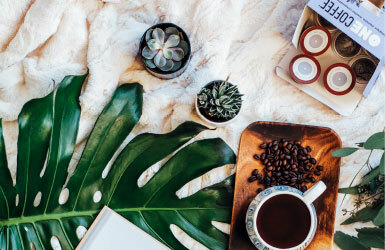 Whether you’re looking to reduce your waste footprint or just want a great cup of organic coffee, OneCoffee’s attention to detail makes their sustainable coffee pods the way to go. Just brew and know you’re making a better choice with these compostable K-Cup style coffee pods. Shop now for the perfect combination of great flavour and environmentally-responsible packaging.